Measuring only 15mm across, this fossilized trilobite is over 400 million years old. The trilobite was a highly successful invertebrate, dominant in both numbers and variety of species. These ancient saltwater creatures swam and burrowed in the shallows and deep sea water for over 270 million years. 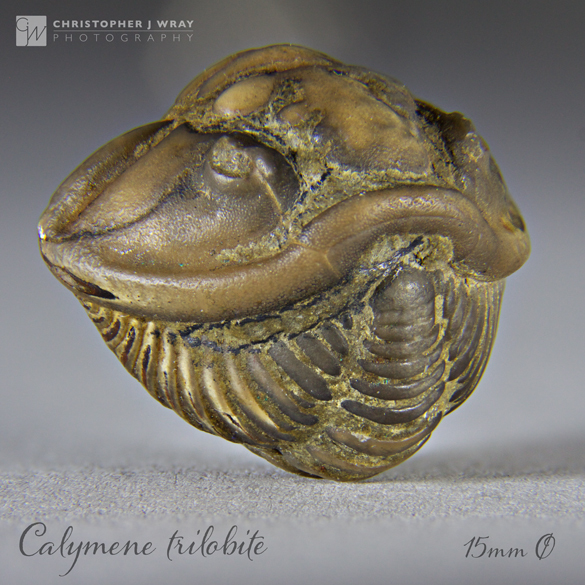 This particular genius of trilobite, known as Calymene, is the distant relative of the present-day horseshoe crab. The Calymene had an effective defensive mechanism. When threatened, the Calymene would protect itself by coiling into a tight ball. The inside edge of the trilobite’s head (cephalon) had a groove that would form a tight seal with the creature’s tail (pygidium), a bit like a re-sealable plastic bag. The Calymene’s hard shell and protruding spines would protect its soft, vulnerable underbelly from predators. 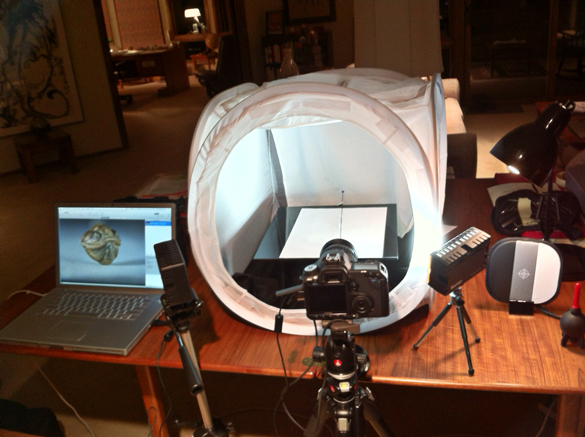 I photographed this Calymene specimen using the tabletop set up shown below. The surface underneath the specimen is a piece of smooth bond paper. It’s amazing how the texture is visible in this photo! Good Lord, fine sir, that’s what I call an artifact! Masterfully shot, my friend, the details here are just incredible to take in. Many thanks, Toad for stopping by. Always appreciate your support.